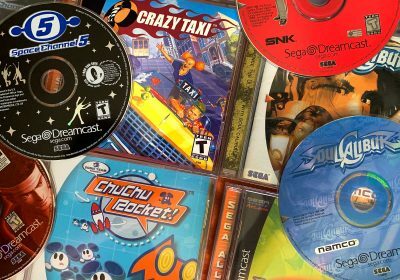 Following up on my feature of the Games That Defined The Dreamcast, I wanted to cover the list of the best Sega Saturn games that gave Sega’s 32-bit console its character. The goal of this list is to identify the best exclusive Sega Saturn games, but if you would like to share your favorites, please feel to post a comment below. Since the Saturn didn’t quite have the 3D horsepower to compete with the likes of the Playstation and N64, Sonic Team bended their brains to create a game that had a traditional 2D videogame experience contained in a three-dimensional world. While Mario 64 created a whole new experience while keeping the spirit of the old Super Mario, NiGHTS struck a balance between the old and new, a game world that brings the benefits of both 2D and 3D games. The the immersion of the game world is so compelling that the desire to return rarely fades. Mixed with a brilliantly composed soundtrack, innovative gameplay and even a new controller to make the control that much better, this game is something that every Saturn owner should have. 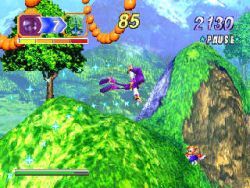 After the success of NiGHTS into Dreams, Sonic Team decided to utilize the NiGHTS game engine in another creative, genre-bending game. Burning Rangers puts you in the role of a new recruit for a futuristic firefighting team and requires you to explore locations where various emergencies have taken place, extinguishing fires and rescuing survivors. The game is notable for its random level generation system, which is unlocked after completing the game once. To help the player find their way around these unfamiliar stages, a navigation system was included – at any time, the player may radio back to Chris, who will provide helpful information about nearby hazards and objectives. While the graphics are a little jaggy by today’s standards, Burning Rangers offers an unique adventure experience and while its is a titles that gives the Saturn some character, I think it deserves a remake on a modern system. The Virtua Fighter series was possibly Sega’s most groundbreaking series is terms of both 3D graphics and redefining a genre. The original Virtua Fighter brought 3D polygons to the one-on-one fighter and, in time, all but killed off the 2D fighter genre. The original Virtua Fighter was a launch title for the Saturn, but due to the rushed release, it was not quite as polished and enjoyable as the arcade original. Eventually Sega offered Virtua Fighter Remix, which was essentially made to deal with the flickering polygons and floaty control of the original. Sega originally was planning on bringing Virtua Fighter 3 to the Saturn, but they held off until they launched the Dreamcast and Virtua Fighter 3TB. 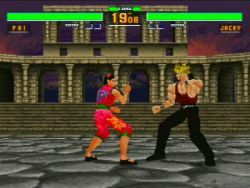 The closest thing Saturn owners got was Fighters Megamix which took the models from Virtua Fighter 2 and Fighting Vipers (along with some other characters from Sega games) and threw in some of Virtua Fighter 3’s new moves such as the dodge move, which allowed the character to sidestep, avoiding a dangerous blow and opening at the same time room for a counter. Sega capitalized on these additions, calling Fighters Megamix the first “real 3D” fighting game in the market. Driving games were all the rage in the 32-bit era as racing was one of the few genres that truly benefited a great deal from 3D technology. Daytona USA led the way for Sega’s arcade ports and was one of the pack-in games for the Saturn in later releases. Daytona USA featured an exuberant soundtrack in addition to unrealistically loose, drift-friendly handling. These aspects make Daytona accessible to new gamers as well as incredibly fun to play. 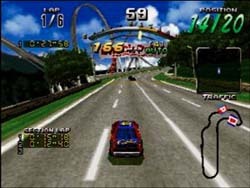 While the Saturn port did not quite have the graphical prowess of Ridge Racer on the rival Playstation, Daytona USA handeled better and was a more enjoyable racing experience. Daytona USA also enjoyed a number of revisions/updates on the Saturn such as Championship Circuit Edition (which used the Sega Rally engine), the Japan-only Circuit Edition and Netlink Edition. I’ve always been a fan of sidescrolling brawlers, but sometimes 2D brawlers feel a bit limited. That’s where Die Hard Arcade comes in. DHA is essentially a 3D Final Fight/Streets of Rage style brawler with 2D gameplay. Die Hard Arcade also improves on the controls of many of the brawlers before it. 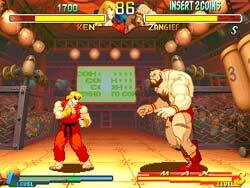 The game actually offers a number of combos in addition to the standard kicks, punches and weapons. You can also score extra points for performing arrests (which is basically a combo in itself) as opposed to killing the enemies. While multiplayer naturally improves brawlers, Die Hard Arcade thrives on teamwork more than most games in the genre. It also boosts the fun factor as two players with massive weapons is nothing but pure fun. Having two friends watching big explosions and bodies flying is not an experience to be missed. To sum up the gameplay, Die Hard Arcade has everything an Arcade junkie would want. One of the Saturn’s greatest weaknesses in its game library is in the RPG sector. The Playstation had full support from Squaresoft and won the hearts of many RPG fans. However, the Saturn did have a number of RPG gems that are still worth a look to this day. Dragon Force is a strategy-based RPG from Sega in Japan and ported to the U.S. by Working Designs. In the beginning of the game, the player is asked to pick one general from a group, and throughout the game they will follow the story from that general’s point of view. The battles are the same regardless of which general is chosen, how they must be played will of course differ due to differences in starting locations. Much of the game is spent on the world map, micromanaging troops, and fortresses, and moving men from one location to the next. It is a slightly different approach to the typical strategical RPG and gives the genre a breath of fresh air. A Japan-only sequel was also released in Japan, but good luck making sense of it without a translation. The Shining Force series was one of the most treasured franchises on the Genesis with its addictive turn-based strategic gameplay that rivaled the Fire Emblem series on the Super Famicom (they were never released in the US on the SNES) and set the stage for more contemporary titles like Advance Wars. Once the Saturn became established as Sega’s primary console, Sega treated RPG fans to a slew of Shining games. Shining Force III stayed true to the overall format of the original Shining Force games but utilized more of the Saturn’s 3D capabilities in order to immerse the players in the game’s rich environments. Sadly, Shining Force III was the last Shining game made by Camelot Software Planning (before they moved onto Nintendo projects) and because of this is considered by most fans to be the last game relevant to the true storyline. 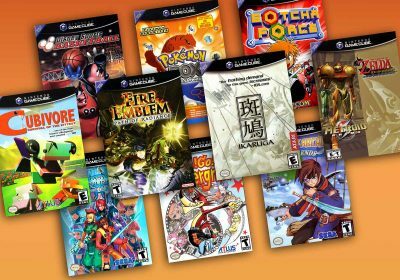 In addition to Shining Force III, there are also a couple other Shining games that might interest you. Shining the Holy Ark is a dungeon-crawler RPG, similar to Shining in the Darkness for the Genesis. Shining Wisdom is an overhead action RPG similar to the early Zelda games. If you are simply looking for some solid RPG action on the Saturn, you may want to check out each of these titles, but if you want gameplay more true to the original Shining Force, you may want to stick with Shining Force III. If you are looking for rare gems on a Sega system, the first place you need to look is Treasure. 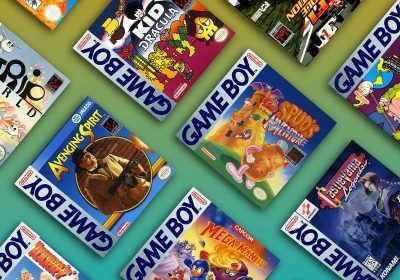 This creative development house spun off from Konami after successful projects like Contra and then brought us some groovy Genesis titles like Gunstar Heroes and Dynamite Headdy. 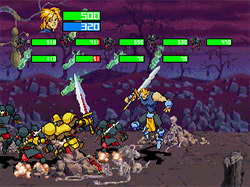 It continued its trend of cult classic games onto the Saturn in the late 90’s with Guardian Heroes. At first glance, Guardian Heroes looks like another mindless beat ‘um up. However, when you realize the game is really a fighting game on a much larger scale, the experience is greatly enhanced. To sum up the gameplay of Guardian Heroes, you take your old-school arcade beatemup like Final Fight or the Ninja Turtles games, combine the fighting moves of Street Fighter 2, and add RPG-elements like leveling up. The branching storyline enhances GH’s depth and increases the replayablity. Overall, Guardian Heroes is a very well-rounded title and adapts various concepts from many successful games to create a phenomenal hybrid gaming experience. 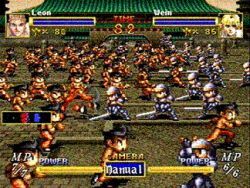 Guardian Heroes is one of the best examples of a high-quality game developed by Treasure in addition to being one of the best Sega Saturn games — especially with 2D graphics and gameplay. While an original copy may be a little pricey, it will not disappoint. Throughout the 80s and early 90’s there were always to be found in the arcades and on consoles. However, once the Virtua Cop series hit the Saturn and the arcade scene, the genre was never the same. 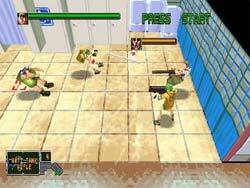 In addition to the trendier 3D graphics, the Virtua Cop series also allowed the games to be more dynamic. Enemies and the objects in the environments actually responded differently depending on where and how you shoot them. If you shoot an enemy in the leg, he will actually act like he got shot in the leg (Image that) and if you shoot the corner of a chandelier hanging from the ceiling, it will cause it to spin around a bit on the chain. 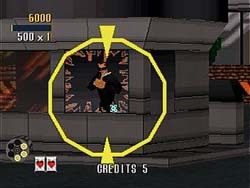 While both games may seem a little primitive compared to newer installments of Time Crisis and such, they still were a big draw to the Saturn and are still provide nostalgic gamers with some fun. Following on the success of Virtua Cop, Sega had Hitmaker Studios develop a new 3D light gun series with a completely different theme. Instead of be having the typical cop-versus-bankrobber scenario, players are instead battling off waves of zombies in order to stay alive and progress in a story. 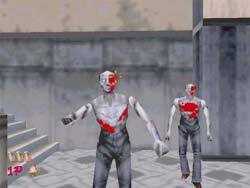 House of the Dead was the first major light gun game to incorporate the possibilities of multiple routes. For instance, in the beginning of the game, a male civilian is about to be thrown off the bridge to his death. If players shoot the zombie and save the civilian, they will enter the house. If the civilian dies, players go down an underground route through the sewer. There are other critical points in which the players’ actions decides where they go. Bomberman has shown his face on virtually every video game console known to many since the 8-bit era. However, if you ask any die-hard Bomberman fan what their favorite installment was, the Saturn version will most likely come up in the conversation. So what makes the Saturn version hold up so well to all the others? 10 Player Action. You read that correctly. With the help of two multitap adapters, you can actually have 10 human players playing simultaneously on one screen. It doesn’t get much better than that. In addition to the increased competition, Saturn Bomberman also sports some of the best 2D Bomberman graphics in the series. Many of the newer Bomberman games feature 3D graphics and don’t quite have the tight controls and feel that Saturn Bomberman benefited from. 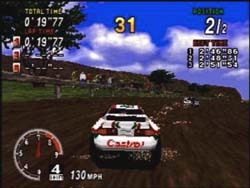 Much like Daytona USA, Sega Rally Championship was one of the headlining arcade-to-Saturn conversions that initially sold a lot of gamers on the 32-bit powerhouse. Sega Rally received a lot of die hard fans as it was the first major games to utilize the aspect of drifting and a variety of driving surfaces in a racing game in addition to having the expected arcade polish from Sega. The Panzer Dragoon series is one of the most beloved Sega franchises, but also one of the most ignored by the mainstream gaming marketplace. The first Panzer Dragoon game was one of the launch titles for the Saturn and recieved fairly strong reviews. It brought new life to the 3D rails shooter (similar to games such as Space Harrier and Rez) by bringing the genre to a unique world that was unlike many other games of the era. The first game simply introduced the basic features of the game by giving only minimal control over the dragon and providing the player with a choice of two main offences: a lock-on laser weapon, and a rapid fire gun weapon. Since it was an early Saturn title the graphic capabilities of the system were not quite maximized. Panzer Dragoon Zwei built upon the solid groundwork of the first game and polished the gameplay and graphics a bit. 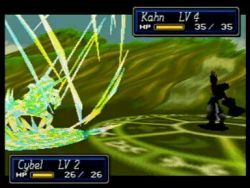 Zwei introduced the berserk ability, where the player builds up a bar that gives them the ability to unleash a powerful attack. It also introduced the ability to choose multiple routes through levels, and these routes could cause the drago n to change shape, and alter the ending depending on the player’s choices. 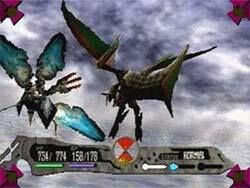 Panzer Dragoon Saga (known as Azel: Panzer Dragoon RPG in Japan) roamed away from the shooter roots of the series and instead leaned toward the RPG genre. 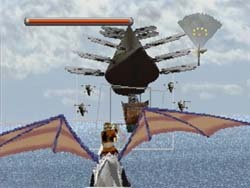 It translated the Panzer Dragoon game’s shooting features into an RPG battle system, and greatly expanded the world the player could explore. 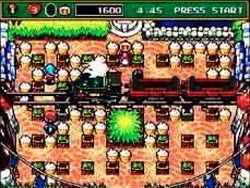 The player’s experience of the game was greatly enhanced by the distinctive soundtrack throughout the game. Panzer Dragoon series’ distinctive aesthetic approach and attention to detail (both technically and artistically) definitely set new standards for 3D game development at Sega and, arguably, in the industry in general. If you are looking for a combat or fighting game that is just a bit different than the norm, you really should give Virtual On a try. 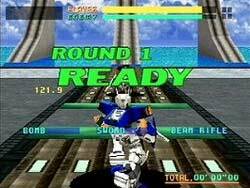 This arcade conversion from Sega pits two gigantic robots against each other armed with a variety of weapons and the ability to run, walk, jump and even climb on various buildings to get a better shot at the opponent. Much like tank games, you can look one direction and move another and you can also hide behind obstacles and then surprise your enemy by leaping into the air. While it may take a bit of time to get used to the mechanics of the game, you will soon find yourself engulfed in a fast-paced battle filled with a fury of laser and explosions. As you can see from my comparison list, the Saturn and Playstation share quite a few shooter titles between their libraries. However, in most cases, you will find that the Saturn’s 2D capabilities win out and provide superior shmup ports. Also, the Saturn has quite a few exclusives that trump even the best Playstation exclusives. 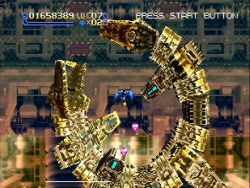 The most recommended shooter for the Saturn has traditionally been a gem from Treasure known as Radiant Silvergun. While some claim that this shmup is overrated, there is no denying that Radiant Silvergun put a new spin on the shooter genre and pushed the 2D limits of what a 32-bit console could do. 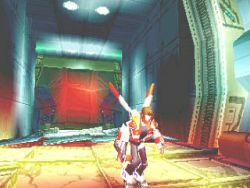 Radiant Silvergun features a unique and innovative weapons system, a unique strategy, and NO powerups. If you are a shooter fan and, for some strange reason, haven’t heard of Radiant Silvergun — you must try it! Even though there are many newer and flashier fighters (mostly Japanese imports) on the Saturn such as Street Fighter Zero 3 and Waku Waku 7, I still recommend Street Fighter Alpha 2 (Zero 2) as the best place to start when building a Saturn fighter collection. 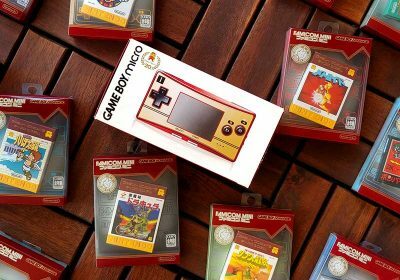 It has the perfect blend of tight controls, solid graphics, and well-balanced character lineup. You can’t go wrong with Alpha 2. Unfortunately, there are quite a few gems for the Sega Saturn that never made it out of Japan. Many of the great 2D shooters and fighters mentioned above were only released commericially in Japan, but there are also worthy imports from other genres as well. 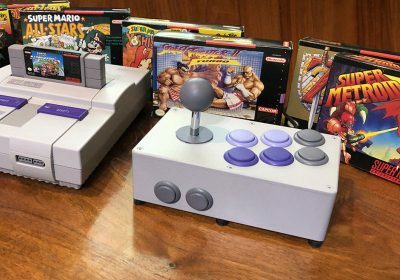 SNK’s Metal Slug is possibly one of the most well-known games that is Japan-only, but , Dead or Alive, and Dracula X (essetially the same as Castlevania Symphony of the Night) also come to mind. If you would like more information on how to play import on your Saturn, check out this handy guide. I just got a Saturn this weekend and have been looking at lots of articles and stuff, so your timing on this was perfect for me. Only a few things here i didn’t know already, but a good list. Thanks for this one! These shooters are my favorite..
Another great list Racketboy. I would have included all those games as well apart from a few I have not played. I was shocked to see Die Hard Arcade on the list. Not because its not a good game, but because I thought no one apart from me enjoyed it. If only it is was a bit longer it would have been amazing. Did you ever play die hard trilogy? I really liked that game especially the driving game. The games I would have added to the list are Athlete Kings and Sonic R.
Athlete Kings because It was so simple to play yet so much fun. Sonic R because it was a great attempt at taking on Mario Kart. It was not as good but it was definitely a fun game. I think you should do a feature on Exhumed. That was a great game that was overlooked and deserved more attention. I’m glad you gave an honorable mention to Shinobi Legions. That game is hated on by some people who can’t fathom a non-hand-drawn 2D game being awesome. Blame Acclaim I guess. To me it’s the pinnicle of Shinobi gameplay. I’d also agree with the poster who mentioned Sonic R. The game itself is just average but it is overlooked for its graphical achievement. The game is faster and better looking than every N64 game and all but a handfull of Playstation games. Shining Force III is truly the greatest game that no one has played with PDS coming in right behind. At least American gamers could play those awesome Capcom games in the arcades if they didn’t own a Saturn and import them. Saturn Bomberman is still my favorite in the series and still THE multiplayer game in my house. They haven’t made a Bomberman like it since. Funny how the Saturn wasn’t known for it’s 3D graphics, and yet most of the featured games here are 3D. You know, there’s a fan project to translate the other Shining Force III episodes. They’ve largely finished the text for the Shining Force III Premium Disc and they’re not only working on translating Episode 2 and 3 but also on re-translating Episode 1. I’ll find the link in my bookmarks when I get home and post them on the forums if anyone cares. Why would they need to retranslate SFIII Episode 1? I’ve played through it several times and don’t think it’s that bad. There are certainly worse. If anything they should keep the text the same and redo the voice acting which is atrocious. I hope they’re not devoting time to episode one at the sake of working on 2 and 3 because that would be amazing! The Saturn was perhaps my favourite console of all time and I still own and play one to this day! Virtua Cop with the lightgun is truly fatastic. Nights is great but I want to obtain the Chrismas edition. no word mentioned of the greatest pinball games ever: digital pinball. also I think mr.bones is a perfect sega saturn showcase. Someone mentioned the translation of the other two Shining Force III Scenarios and the Premium Disc. Well, there is a completed translation for the Premium Disc. It’s not just a translation either, it’s an actual patch that you apply to your ISO and it makes the game english. I don’t really know how it works as I haven’t really looked into it. But it sounds like it’s certainly worth looking into. dude, i just got a sega saturn with the extra ram cart and warcraft 2, plus two controllers for free! freecycle rocks! I loved Clockwork Knight I and II, also Bug and Bug Too, my boys used to love AMOK and we all loved playing the homerun derby portion of Frank Thomas’ Big Hurt Baseball. 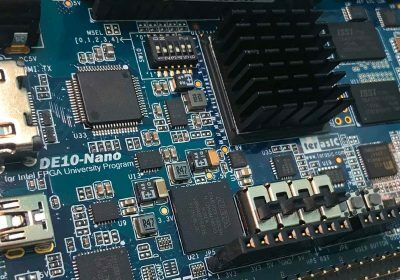 I am impressed by your post, very nice work on the list. I have played the saturnfor a very logn time as well. It had very good graphics and some very random games. I agree with many of the things you said. I also want to point out that the saturn started many other character games series, and was one of the few that was given multi console games. Like GEx for example. while it didn’t have many games people stil consider seg these days.. IE sonic. IT was stil a grea system in its time. Very realistic graphics and so on. I gotta add the game virtual hydlide to it though, THat game had amazing graphics and was a huge 3d adventure rpg game. LOVED the space shmups on the Saturn, thanks for mentioning them. What about Midways’ 02 Mk games(Ultimate MK3 & Mortal Kombat Trilogy).Granted these two 2D fighting games are’nt as popular as Capcoms Street Fighter series,but what other game system allows you to play these near perfect arcade ports.